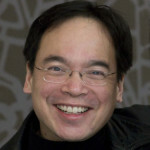 DAVID LAI currently serves as Conductor for the Broadway company of The Phantom of the Opera. Other Broadway credits as conductor, music coordinator and/or keyboardist include South Pacific, Mary Poppins, Miss Saigon, The Woman in White, Riverdance, Jesus Christ Superstar, Les Misérables and Aspects of Love. David has conducted many symphony orchestras including Dallas, Fort Worth, Pacific, Taipei, Jacksonville and the Kennedy Center Opera Orchestra. Television appearances include The Today Show, GMA, The View, and CBS This Morning. As music director/pianist David has appeared at: the Rainbow Room, Caramoor Festival, CBGB’s, and the Bottom Line. David also serves as a consultant to Sony Masterworks for classical, jazz and Broadway recordings. 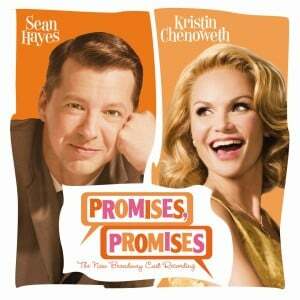 A Grammy® Award-winning producer, his recording credits include four Eldar albums (including the Grammy®-nominated album, Re-imagination) and recordings by Nathan Gunn, Kristin Chenoweth, Audra McDonald, Howard McGillin, Laura Benanti and Ashley Brown. Broadway cast albums produced include West Side Story (Grammy® Award), South Pacific (Grammy® nomination), Grease, The Wedding Singer, an all-star cast album of Allegro, and Spanish cast albums of The Phantom of the Opera and Jesus Christ Superstar. David also was the A&R Executive for the Grammy®-winning Songs of Joy & Peace (Yo-Yo Ma) and Grammy®-nominated Bach in Havana (Tiempo Libre). Most recently, David was Executive Producer for Joshua Bell’s At Home with Friends album and served as Consultant Producer for PBS Live at Lincoln Center’s broadcast, Joshua Bell with Friends. Current projects include A&R Executive and Music Director for the 4TROOPS. David received a BA in Engineering/Economics and Music from Brown University, and an MBA in Finance and Marketing from Columbia University.